Sanibel and Captiva Islands have a very special way of launching the holiday season – the annual Luminary Festival, or festival of candlelight. At dusk on the evening of Friday December 7th candle lanterns will line the bike path along Periwinkle Way. On Saturday, December 8th lights will be placed along Andy Rosse Lane and Captiva Drive in Captiva. Both evenings celebrate the Islands and local businesses. Luminary Festival is a much-anticipated event for the first weekend in December, and is the real start of the holiday season on the Islands. 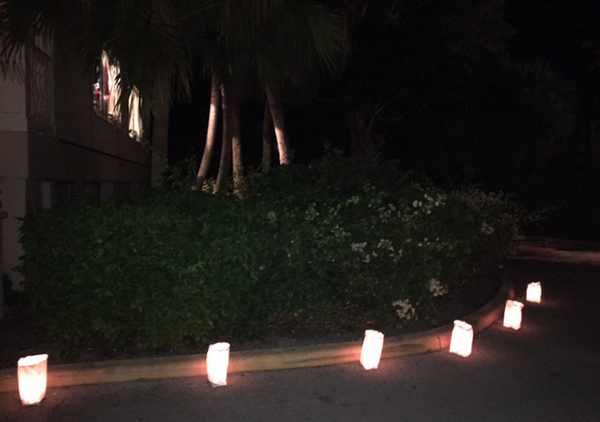 Luminary nights begin at 5:30 and last until 9:00 and the Sanibel route stretches from one end of Periwinkle Way to the other. Local merchants, restaurants, churches, and businesses all join in the fun. Major sponsors for Luminary 2018 include the Bank of the Islands and Periwinkle Place. 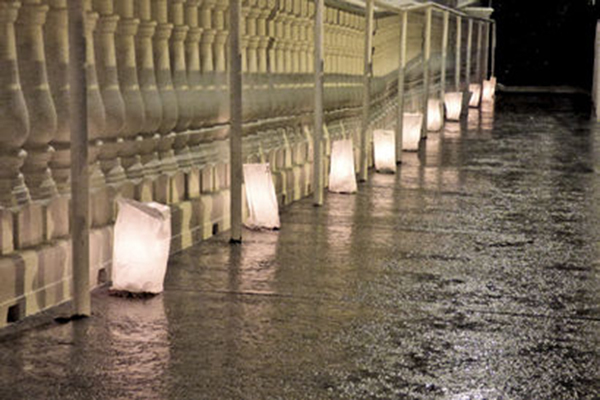 Luminary is hosted by the Sanibel-Captiva Chamber of Commerce and the theme of this year’s event is Holiday Stroll. This community-wide holiday event brings together residents, visitors, businesses and organizations, to promote goodwill and holiday spirit and to enjoy the season. Some Sandalfoot guests come year after year to enjoy the event. As you stroll the trail, check out the Chamber-provided map for the many fun places to stop and enjoy. There will be Santa visits, photos with Santa, a live nativity scene, music and activities for the entire family. Many of the stores and businesses offer snacks and refreshments and Periwinkle Place will feature live music by the Children’s Choir of the Islands, Malibu Duo and Megan Rose Duo. The Chamber of Commerce created Luminary Festival to offer recognition to island businesses, help promote local shopping, and to have a holiday event that the entire family could enjoy. It has been a tremendous success for 33 years and this year’s event will be no exception. Come out and enjoy the decorations, the beautifully lit walkways and the company of friends. 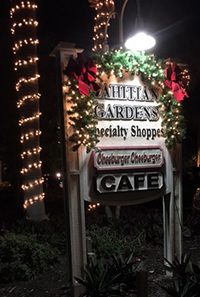 This entry was posted in Beach Vacation, Christmas on the Beach, Florida Beach Rentals, Florida Beaches, Florida Vacations, Luminary Festival, Merry Christmas, Sandalfoot Beach Rentals, Sandalfoot Beachfront Condominium, Sandalfoot Condominium, Sandalfoot Condominium Events, Sanibel Beach Rentals, Sanibel Island, Sanibel Island Events, Sanibel Island News, Southwest FL, Southwest FL vacations, Vacation, Vacation Beach Rentals, Winter Vacation Spots. Bookmark the permalink.